90MG CBD, 10MG THC PER TIN When you need relief with fewer psychoactive effects, our CBD Relief gummies are a tropical mango flavor escape. 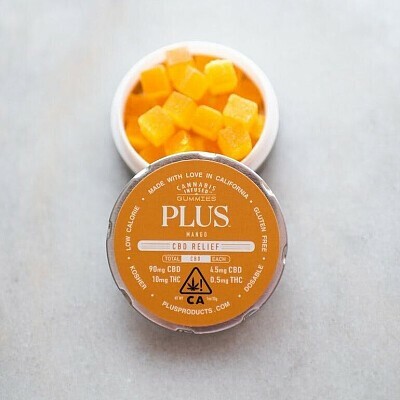 Made with 4.5mg of cannabis derived CBD and 0.5mg THC per piece, each tiny square is low dosed and perfectly balanced with a deliberate blend of cannabinoids, terpenes and flavonoids. These gummies are low-calorie, gluten-free, and made with kosher ingredients, delivering you relief anytime and anywhere.